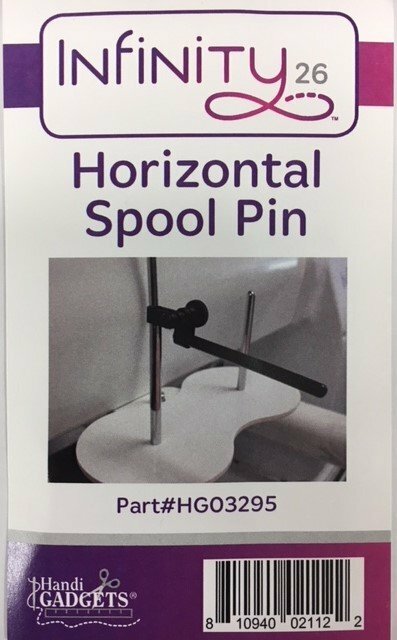 Use the Horizontal Spool Pin with metallic threads or thread that does not feed evenly from the top of the spool. It mounts in the threaded hole at the top front of the machine. Compatible with HQ Infinity, HQ Forteand HQ Amara longarm machines.